Need a courier in County Tyrone? NI Parcels can help! We offer fast, reliable and cheap parcel delivery throughout Northern Ireland, with door to door collection and delivery to all areas of Tyrone and full online tracking. We serve all areas of County Tyrone, including: Dungannon, Cookstown, Strabane, Omagh, Augher, Clogher and Fivemiletown! No matter how rural or central your location in Tyrone is, we can provide you with a top quality courier service. If you have a parcel to send to or from anywhere in Tyrone, you can book a courier online, any time. It takes just a few minutes to book your parcel delivery online with NI Parcels. After that, we’ll do all the rest of the work! We’ll come and collect the parcel from your address, whether it’s home or your workplace, and we’ll deliver it quickly and safely to where it needs to go. Door to door collection and delivery to all Tyrone addresses. We understand that speed is a top priority when booking a courier and with NI Parcels, you can be sure your item will arrive fast. We offer same day collection (if booked before 10am) and next day delivery. Same day delivery many also be available, depending on your route. 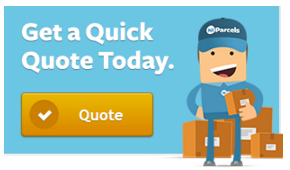 Get a quote now to see our fast delivery times. At NI Parcels, we also like to ensure that your parcel delivery is as convenient as possible. For that reason, we provide a handy door to door service and full online parcel tracking so you can keep an eye on your shipment every step of the way. NI Parcels offers courier services from top providers including Parcelforce, DPD and Captain Courier at a significantly reduced rate. This means you receive the same high quality courier service that these companies are renowned for, but at a much more appealing price. NI Parcels offers £50 free compensation cover on every item. You can increase this up to the value for £1,000 during booking, for a small additional fee, if you wish. Before choosing your compensation, we recommend taking a look at our list of prohibited and non compensation items, to ensure your parcel is covered. Convenience, speed and reliability are all hugely important when booking a courier, but for most, price is often the top priority. Thankfully, NI Parcels offers cheap parcel delivery to, from and throughout County Tyrone. Our prices are extremely competitive for large or heavy items over 5kg and we have no set size or weight limits, giving you much more freedom with what you can send. Whether you’re a Dungannon based business owner that needs to ship products to Belfast or an individual who needs a parcel collected from Cloughmills, you could make big savings on delivery costs with NI Parcels. Get a quick quote today and see how much you could save.